I didn’t mean for it to happen; it’s not like I went looking for it. It just happened. I know it’s wrong. Does this make me a horrible person? One of the things I gave up when I became a Master Life Coach was the judgments – the judgments of other people and how they should live their lives, the judgments about what others should think or believe, the judgments about what is right and what is wrong. We (man) are the ones who developed the construct for what is right and what is wrong – mostly in an effort to control others so that we could feel more comfortable, more secure, more right (and righteous). But what if we skipped the judgmental label that cheating is wrong and instead consider it a wake-up call on your life? Some longing…urge…desire has been talking to you for some time, but you haven’t been listening. And so we look for someone else to fill that gap, that longing, that missing piece for us. If we’re feeling numb in our lives and alone in our marriages, someone will come along and wake us up. If we’ve been in a relationship where we’re feeling undesirable, someone will come along and tell us how beautiful we are. If we’ve been made to feel stupid or insignificant, someone will come along that believes in us and our abilities and we’ll feel like we’re soaring. If we feel disconnected from the one we said we would love forever, simply passing each other while running between work and all the kids’ activities, someone will come along that will want to stay up all night talking, discovering each other’s hearts. From the hundreds of women I’ve spoken with over the years who have had either an emotional or physical affair, they often describe it as going from seeing everything in black and white to being able to see in full color. They’ve been awakened and now they can’t go back to sleep. Although they are the first to label their actions as wrong, they simply don’t know how to go back to the same loveless and disconnected marriage they have known for so long and they certainly don’t know how to move forward. So, they struggle to bridge the life they have with their newfound awareness and desire of what’s calling them to expand. 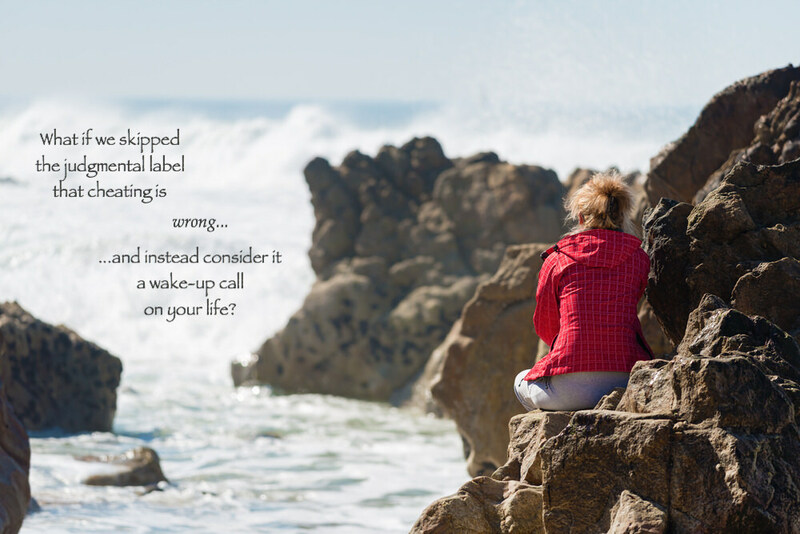 It’s a confusing time and incredibly difficult then – particularly if there are deep feelings involved – to know what that wake-up call is attempting to communicate, why that person is in your life and importantly, understanding if your marriage is over?